new material each month in the Mastering Clarinet Music Club (value $29/month). 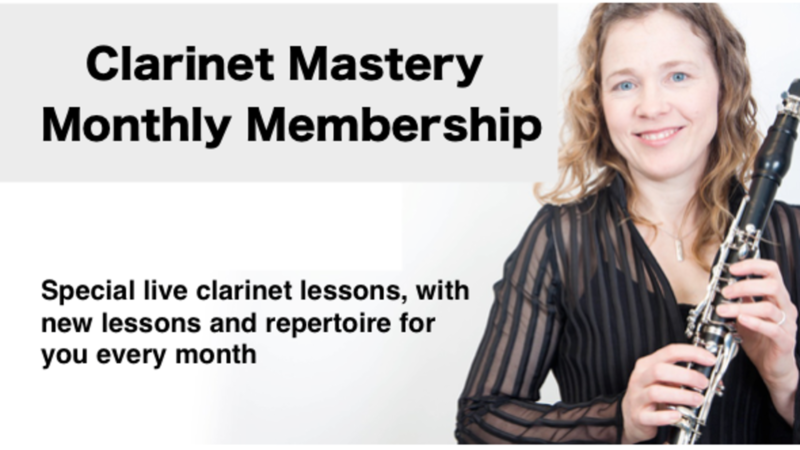 This is a special price for TWO Clarinet Mastery courses in one subscription and is only $1 for your first 30 Days, and thereafter $39/month for both courses. You will remain locked in at that price for as long as you remain enrolled in the course (savings of $228 per year), even if the price increases in future. As with all Clarinet Mentors courses, there is a 100%, 30-Day Money-Back Guarantee if this turns out to not be a good fit for you.